Boldt Carlisle + Smith, CPAs is a full-service firm with offices in Salem, Stayton, and Albany, Oregon founded in 1968 by Robert Boldt, George Carlisle, and Larry Smith. Their services include audits, reviews, accounting, taxes, and computer support. 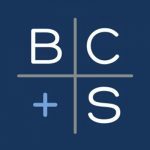 Work For Boldt Carlisle + Smith, CPAs? Claim This Page.